A base that works as hard as you do, Yves Saint Laurent All Hours Foundation SPF20 offers a matte, full coverage finish that looks flawless for up to 24 hours. Created to meet the demands of modern women, the All Hours foundation rises to the challenge with an oil-free, waterproof and transfer-resistant formula that will seamlessly take you from day to night – and back again! Its sublime matte finish diminishes the appearance of pores and keeps skin shine-free, with no need to touch up. 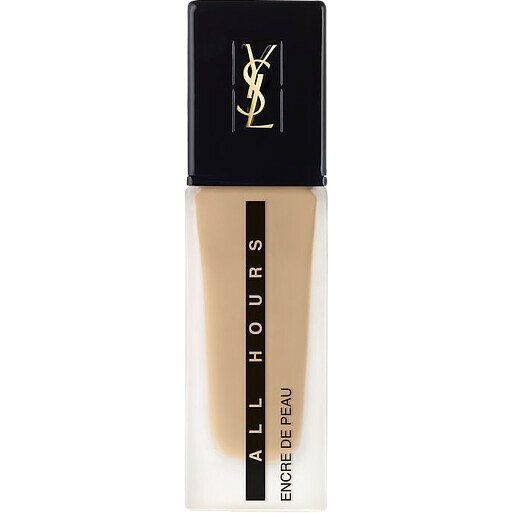 Enriched with a skincare complex and UV filters that offer a protection of SPF 20, All Hours is the perfect all-round foundation for all skin types that will effortlessly suit every situation. All Hours is a full coverage foundation with a high level of pigment, but it doesn’t feel uncomfortable or heavy. It’s fresh, smooth and even, making you that you feel your best self without feeling as though you’re wearing a mask. Apply once, and feel confident all day. 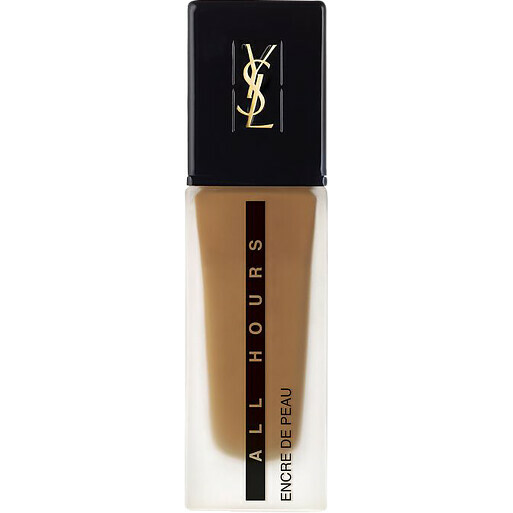 Apply All Hours foundation with the Foundation Blender, a bouncy sponge that helps you to create a polished finish that diffuses every imperfection. Out of stock. Available to reserve.? Expected despatch Up to 6 months, product out of stock with YSL UK after your order is placed.